In case you didn’t know, the Season 6 reunion for Married to Medicine was filmed this past Thursday in New York. And already some hot tea has spilled about exactly who was at the reunion and what went down. The reunion was actually so explosive that it’s going to be aired in THREE parts this year, instead of the usual 2 part reunion special. We’re going to start with the reunion seating chart and then we’ll get into some of the tea that was spilled and the outlandish accusations that were made. 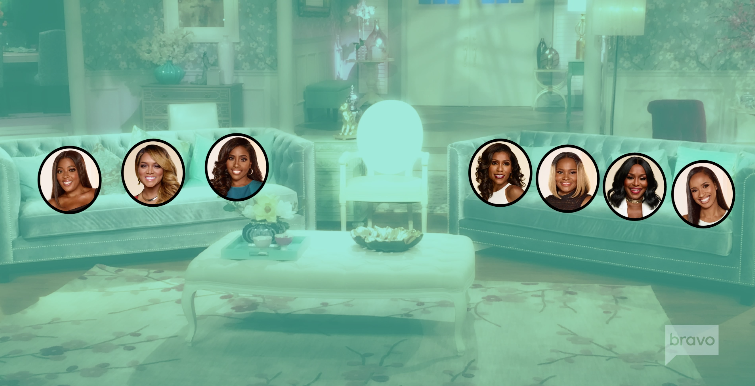 Bravo published this seating chart on BravoTV.com that shows exactly where each of the ladies took their place on the couch. On the left side there is Dr Contessa – who in my opinion had very little drama with the other ladies this year. She did get into it with Toya because for some reason Toya felt that she should be a priority in Dr. Contessa’s life even over Dr. Contessa’s sick father and Dr. Contessa’s own surgery. On the end of the other sofa opposite Dr Contessa is Miss Toya. Toya got into it with Contessa this season, which was strange to me since Contessa came on the show as a friend of Toya’s. But y’all know how that goes when these people need a storyline to grab on to. Next to Dr. Contessa is Quad – whose main storyline was her pending divorce from Dr. G., who only made a few appearances on the show throughout the season. Next to Miss Toya is Mariah. Mariah has had a very colorful and interesting storyline this season, in my opinion. And I would think Mariah would be seated next to Andy. But then again, I don’t think the other producers like Mariah, so they’re not going to give her too much shine, IMO. 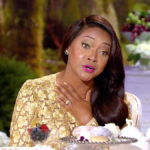 Next to Quad is Dr. Heavenly – who, as usual, got into it with Mariah this season over Mariah alleging to have receipts of Damon cheating AND the ‘yo momma’ line that Heavenly is always throwing out there. I still can’t believe that Mariah broke that glass on the side of the table and was ready to shank Dr. Heavenly, but it happened! Simone is sitting on the one side of Andy. Simone has had little tiffs with Quad and Contessa this season. But nothing that dramatic to where I think she should would need to be seated next to Andy. BUT the season hasn’t finished airing yet and in the previews I do see that she accuses Cecil of taking another woman out to dinner. So I’m hoping this is not another reunion where Simone is getting ready to divorce Cecil again. On the other side of Andy is Dr. Jackie – who I don’t remember having that much drama in her storyline this year. So I’m surprised to see her seated next to Andy because it’s not like she has that much to explain or get off her chest at the reunion. But if Simone is confronting Cecil again, then Dr. Jackie may be seated nearby to try to mediate between them AGAIN. Alright, so let’s get to the tea that was spilled about what happened at the reunion. After six months of not speaking, Quad Webb-Lunceford and her estranged husband Dr. Gregory Lunceford came face-to-face Thursday at the filming of Married to Medicine‘s season 6 reunion in New York City. The former couple sat down with host Andy Cohen for a private mediation away from cast members. 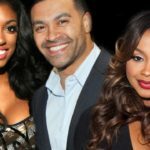 Their chat was filmed and will be included when the Married to Medicine reunion airs in December. Quad and Dr. Gregory — who married in 2012 — are embroiled in a nasty divorce, much of which has played out during the past two seasons. 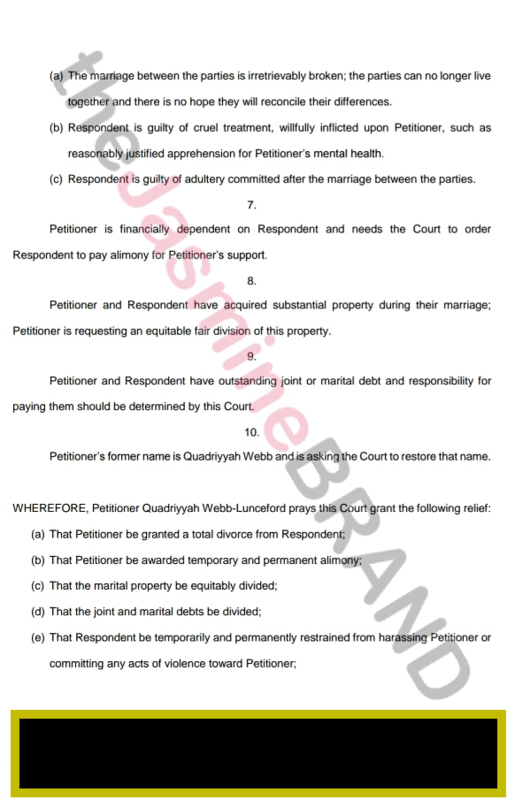 Last year, Quad said she had hit “a crossroads” in their marriage because Dr. Gregory was unable to support her emotionally. And in the Married to Medicine season 5 finale, she asked Dr Gregory if he wanted to get a divorce during one of their dual confessional interviews, causing him to storm out. Things got worse in the season 5 reunion, when it came out that Dr. Gregory and a male friend had gone into a hotel room with two other women. Although he said that nothing ever happened, we did see in the blogs and in the alleged mistress’ radio interview that something indeed did happen. By the time season 6 premiered in September, Quad revealed that she had filed for divorce and that they were living in separate residences. 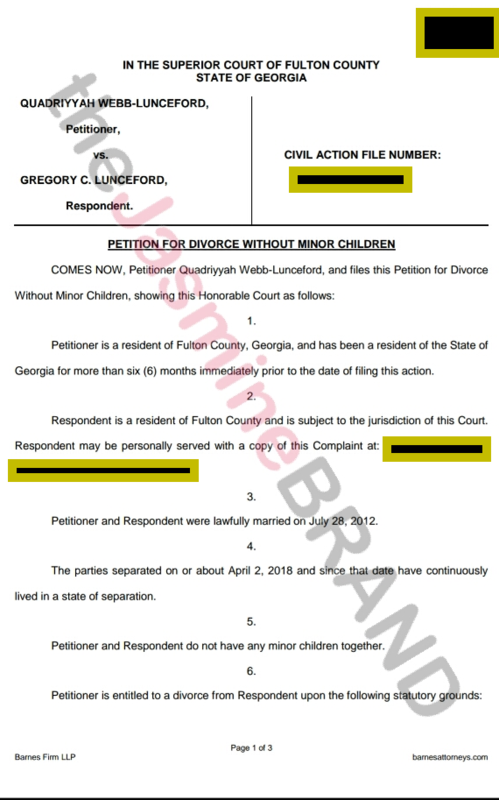 Dr. Gregory also has yet to sign the paperwork for their divorce, something that Quad has publicly complained about on her talk show, Sister Circle. 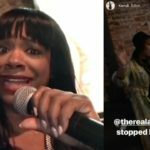 Quad also recently used her role on Sister Circle to address some of the drama that went down at the Married To Medicine Season 6 reunion. Now what Quad is likely talking about when she says “I told the truth” is her accusations that Dr. G was abusive to her during their marriage. 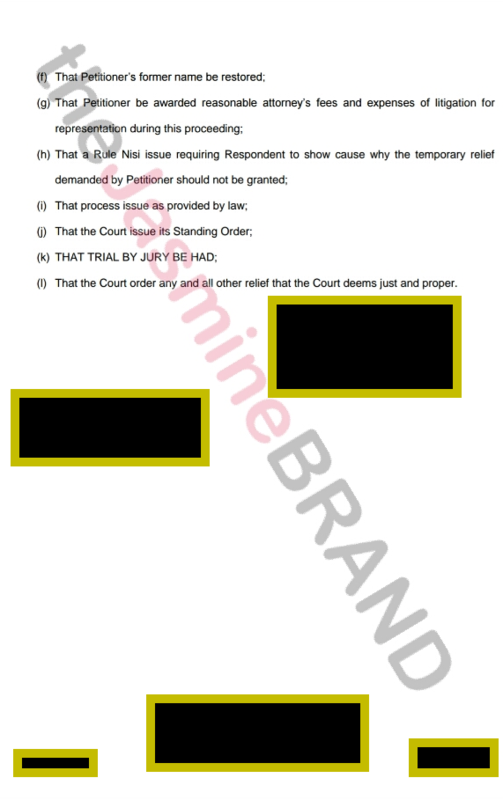 If you go back to when their divorce documents were first published, you can see that one of Quad’s grounds for divorce was “cruel treatment”. 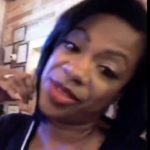 The website allaboutthetea.com was told by a source that “Dr. G held his own until Quad accused him of beating her up throughout the marriage. 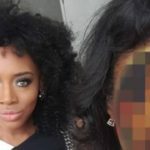 Dr. G responded by saying ‘she hit me first.’ Quad said that Dr. G dragged her out of the car by her hair.” I’ll leave a link in the comments to that article. And she also alleges that the woman from the hotel was not the only woman that he cheated on her with. Y’all have probably heard by now that they allegedly slept separately starting around year two of their marriage. So some people say that maybe Greg was cheating on Quad because Quad was refusing to sleep with him. Now that Quad has revealed that Dr Gregory was cheating on her with multiple women throughout the marriage, that makes me think that that’s the reason she wouldn’t sleep with him. YKWIM? Who is going to willingly sleep with a man that you know is sleeping around, even if it is your own husband. That’s just my opinion. 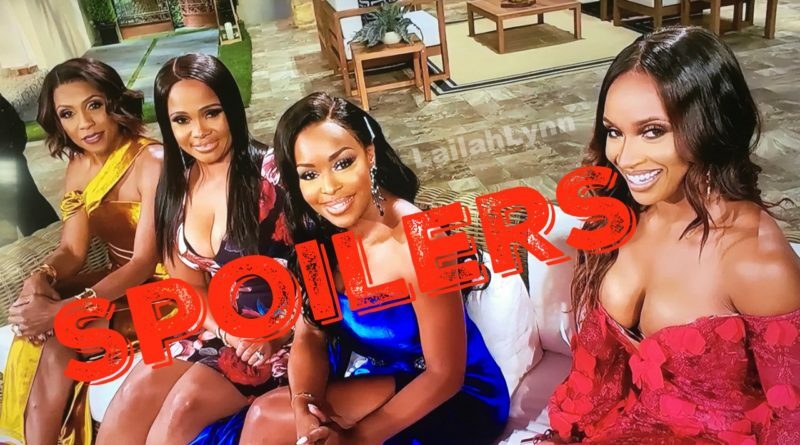 But leave a comment and let me know what you think about the tea that has been spilled about the Married To Medicine Season 6 Reunion so far. This video is Part 1, hopefully there will be a Part 2 coming out soon with the rest of the tea.